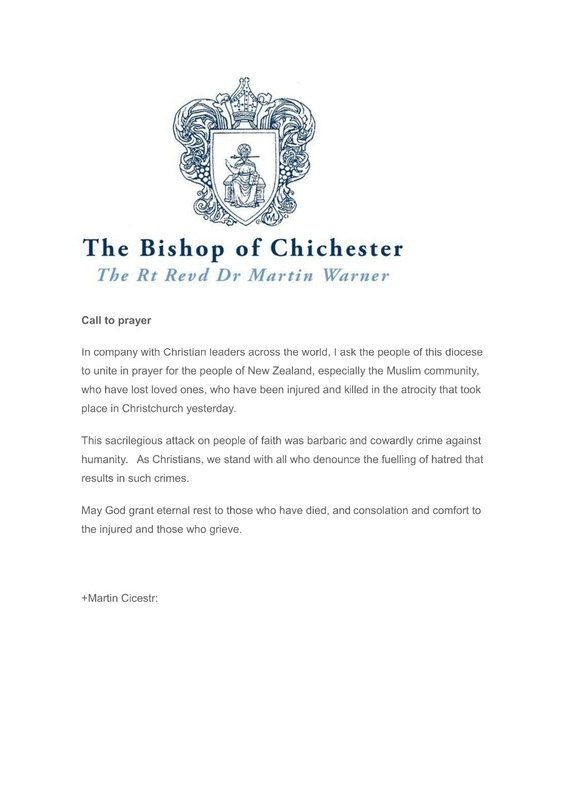 The Right Reverend Dr Martin Warner became Bishop of Chichester in 2012. 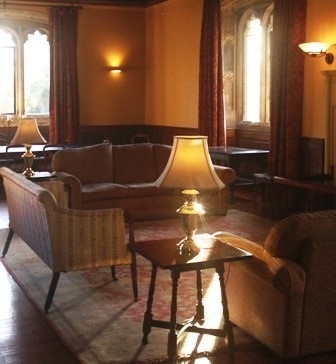 Dr Warner studied at St Chad’s College in Durham before completing his theological training at St Stephen’s House, Oxford. He was ordained deacon (1984) and priest (1985) in Exeter Cathedral whilst working as Curate of St Peter’s Plymouth. He moved north to the Midlands in 1988 to be Team Vicar for five years in the Parish of the Resurrection, Leicester before being elected to be the Priest Administrator of the Shrine of Our Lady of Walsingham between 1993-2002. During his time in Norfolk he was also priest in charge of Hempton and Pudding Norton between 1998-2000. He was appointed Honorary Canon of Norwich between 2000-2002. Dr Warner was then appointed as a residentiary Canon of St Paul’s Cathedral in London, firstly as Canon Pastor and latterly Treasurer where he made a big contribution particularly with regards to the Cathedral’s connection with the art world (2003-2010). He was elected as suffragan Bishop of Whitby in the Diocese of York in 2010 and has served the parishes of the Cleveland archdeaconry which includes the contrasting communities of Middlesbrough and much of the North Yorkshire Moors. Dr Warner is a traditionalist who has worked resolutely in recent years to encourage provision in which people of all integrities can remain together. He worked closely with women priest colleagues at St Paul’s Cathedral and has sought to serve with equal care the ordained men and women in his Diocese. You're invited to the Bishop’s Palace! A day reflecting what 'A Way of Living' means. Those wishing to explore more deeply what this means for them. The day will consist of short addresses with plenty of time for discussion, much on a one to one basis or in small groups. There will be time for reflection and prayer and an opportunity to share your thought with others on the same journey. 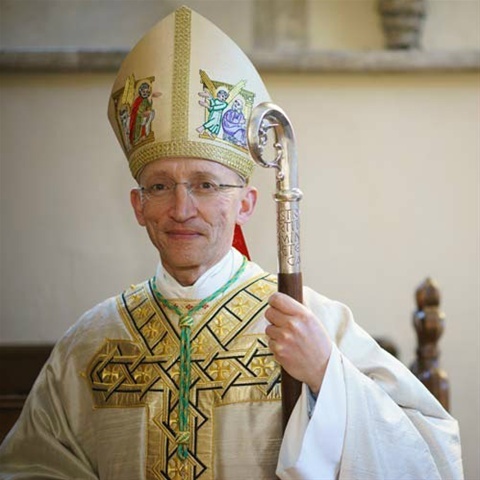 This week, the Bishop of Chichester, Dr Martin Warner, continues a series of deanery visits, along with the bishops of Lewes and Horsham. Between them, they will visit all of the 21 deaneries in the Diocese to hear what is happening in the parishes as they listen to clergy and laity and meet other community leaders. 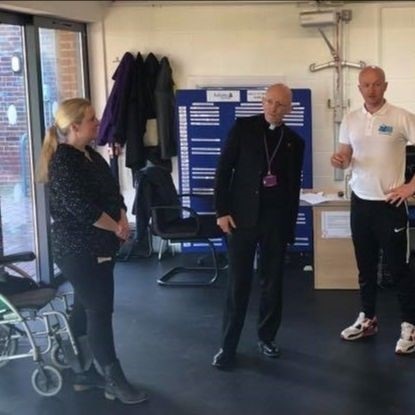 On Monday Bishop Martin visited Uckfield deanery where he met members of the Newick lunch club and then visited Chailey Heritage School, followed b.y two days (Wednesday 13/Thursday 14) in the Midhurst deanery. A highlight of the year will be the launch of a new initiative to award lay people’s long standing service to their church. The ‘Order of St Richard’ will be presented to nominated lay people at a special ceremony in the New Year. Activities start at the beginning of Advent with Bishop Martin’s new resource materials for A Way of Life. These Rules of Life will be available for parishes and individuals to use from Advent Sunday on December 2 and will be available to download from the diocesan website from next week. Booklets can also be printed to order from the diocesan online store. The Bishop of Chichester draws on links between the Church, the arts and other institutions in a wide ranging examination of current issues facing higher education. He also restates his concerns about young people leaving cities like Chichester upon the completion of their education because affordable accommodation is unavailable for them. My Lords may I begin by recording thanks for the welcome and encouragement that I have received since being introduced into your Lordships’ House. I came to the See of Chichester in 2012 after ministry in inner-city parishes in Plymouth and Leicester, as the Priest Administrator of the Shrine of Our Lady of Walsingham in Norfolk, a Canon of St Paul’s, and all too short a time in the diocese of York as bishop of Whitby, which was always about more than Dracula and Goths. In each context the Church’s contribution to learning and the arts has been a significant element of my ministerial experience, perhaps exemplified most strikingly by the centuries-old work of St Paul’s Cathedral School, which today offers choristers a free education in music of an international standard. Many choristers have become professional musicians in adult life, sustaining and enriching Britain’s cultural life. I often feel overwhelmed by the scale of this inheritance and by the best accomplishments of my predecessors. Bishop George Bell made Chichester famous for its contribution to learning and the arts, and he was building on solid foundations. 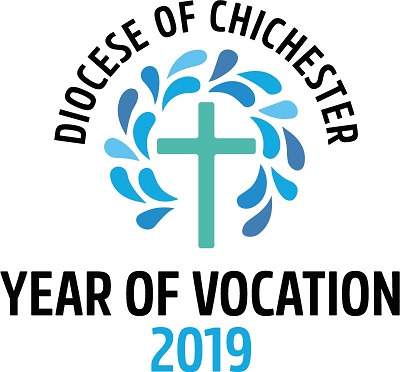 In a tenure of just four years, the remarkable Bishop William Otter established a teacher training college that has joined with another local institution to become the University of Chichester. Otter was inspired by the tradition of learning nurtured by Christian Europe, and from which, even post-Brexit, the Church of England will continue to draw. His academic credentials lay in the founding of King’s College, London in 1829 as an explicit expression of Christian commitment to higher education. It is no accident that today the arts form a central part of the University’s life, drawing from rich resources in the cathedral’s outstanding musical tradition, from Pallant House art gallery, and from the Festival Theatre, (enjoying summer performances of Me and My Girl) that runs a vibrant youth theatre of over 800 people of school age. Its workshops for young people and adults with special needs represent a remarkable achievement of social inclusion. My Lords, this inheritance in Chichester demonstrates that in a creative, balanced and economically sound society, the arts, science, engineering and technology need each other. As we consider the value to the UK economy of higher education as an export, the Church of England, a foundational stakeholder in Higher Education, is also concerned with the quality and scope of the offer we make to overseas students. The Church of England holds fast to the question of what education is for, believing that it is right to ask how learning gives moral value to economic activity, right to pay consistent attention to the flourishing of human life and society, and right to nurture the wisdom with which to govern well our stewardship of the earth. The benefits of access to learning and the arts can and must be open to all, especially in areas of deprivation, where they provide unique opportunities to combat some of the symptoms of social dislocation and its consequences. I was delighted to learn that it was back in the 1950s that the Glyndebourne Festival took a production of Fidelio into Lewes Prison, as part of a rehabilitation programme among prisoners. However, the challenges to sustaining this access are substantial. Last year saw a 39% drop in the number of A-level music candidates and a 31% drop at GCSE. The impact of this is catastrophic in Higher Education and the maintenance of our place as a world-class centre for music and the arts. Moreover, fears that there is a growing social segregation in access to the arts are strengthened by the realisation that only one in ten pupils from a disadvantaged background in Hastings or Eastbourne will go to university. In this context the University of Chichester seeks to make a distinctively positive contribution: in the arts, in economic regeneration locally where it is most needed, and as an international export offering an experience that is always more than money can buy. One example of the University’s commitment is its new Engineering and Digital Technology Park on the University’s Bognor Regis campus that aims to serve the Hampshire / West Sussex coastal region, an area seriously disadvantaged by low levels of skills, business growth and earnings. Only one in five people in Bognor Regis and Littlehampton have higher level qualifications. Finally, my Lords, I believe that we should demonstrate a duty of care for students that stretches beyond the academy. At present 40% of Chichester’s graduates leave the region within a week of completing their courses because affordable accommodation is unavailable. This is a crippling outcome for the future economic and cultural life of provincial towns and cities like Chichester. And similarly, how do we sustain the relationships we are building with overseas students who are our exports? How do the bonds of learning and culture forge a greater sense of international trade and security that will build a peaceful and a better future? My Lords, I have no sense of being equal to the noble achievements of my worthy predecessors. But, encouraged by your Lordships’ welcome, I look forward to playing an active role in the work of your Lordships’ House in the years to come.